Snapdragon Chemistry is thrilled to be participating in this outstanding conference that spotlights innovation and insights for the pharmaceutical industry. Our participation gives us a wonderful opportunity to showcase our broad range of flow process development capabilities that can impact any stage of pharmaceutical development, from early discovery through commercialization. Additionally, our strategic partner Johnson Matthey Pharma Services will be participating in the conference. Be sure to stop by their booth (536) at the exhibition. In September 2017 Snapdragon Chemistry CEO Matt Bio participated in a workshop held in Mexico City for the Clean Energy Materials Innovation Challenge. Matt joined more than 55 other scientific leaders to define the challenges, articulate the opportunities, identify fundamental research needs in order to rapidly discovery and developed advanced materials supporting clean energy. In addition to the workshop, the attendees collaborated to author a report entitled "Materials Acceleration Platform: Accelerating Advanced Energy Materials Discovery by Integrating High-throughput Methods with Artificial Intelligence" (link). Matt Bio upon the release of the report stated, "Snapdragon Chemistry was very excited to be part of this workshop. The consensus of the attendees, as captured in this landmark report, was the critical role that autonomous experimental execution and interpretation will play in discovering and developing tomorrows advanced materials. This is exactly the vision that Snapdragon Chemistry has already had exceptional progress realizing." In late 2016 we announced that we had been awarded a Phase I Small Business Innovation Research (SBIR) grant from the National Science Foundation (NSF) for the development of an electrochemical method for the manufacture of chemicals of interest to pharmaceutical, agricultural and fine chemical producers (Award #1645765). This grant enabled a significant amount of research and progress towards the goal of creating flow chemistry processes and devices that could harness the power of electrochemical transformations in a manner that is easily scaled. Progress on some aspects of this work was reported in our manuscript titled "Ni-Catalyzed Electrochemical Decarboxylative C–C Couplings in Batch and Continuous Flow" which was published in the February 12th issue of Organic Letters (link). We submitted this work in collaboration with Professor Timothy Jamison and his group. In this manuscript we present an electrochemically driven, nickel-catalyzed reductive coupling of N-hydroxyphthalimide esters with aryl halides. We found that the reaction proceeds under mild conditions in a divided electrochemical cell employing a tertiary amine as the reductant. This decarboxylative C(sp3)–C(sp2) bond-forming transformation exhibits excellent substrate generality and functional group compatibility. An operationally simple continuous-flow version of this transformation using a commercial electrochemical flow reactor represents a robust and scalable synthesis of value added coupling process. Our article in Pharma Horizon is now available (link). In this article we examine how continuous manufacturing technology enables the design of highly automated, small footprint, chemical manufacturing plants at relatively low cost when compared to traditional batch production. This capability will eventually allow for the design of distributed, point-of-use manufacturing. The article explores the implications of the adoption of continuous manufacturing technology and the new supply-chain logistics made possible. We see continuous manufacturing as an important tool to ensure and expand access to essential medicines worldwide. Each year Chemical & Engineering News looks back in their "Research of the Year" article highlighting some notable advances in research for the year coming to a close . This year two of our collaborations were discussed in the section of the article: Flow Chemistry Advanced in Industry. The first was our collaboration with Pfizer in which we developed and demonstrated a scalable route employing allenyllithium to prepare a chiral homopropargyl amino alcohol. This exciting work blazed a trail for us to apply our expertise in developing and scaling continuous and robust transmetallation reactions which we did for many clients in 2017. C&EN also noted the collaboration we announced with Johnson Matthey Pharma Services to develop and scale continuous processes. As 2018 begins we are excited to be on the precipice of executing kilogram quantity production runs of chemistry developed at our labs within Johnson Matthey's outstanding facilities in conjunction with their superb technical and facilities staff. Snapdragon Chemistry will participate in the inaugural 'Advancing Drug Development Forum - Making the Impossible Possible'. The scope of this event will be to explore new solutions, promising technology breakthroughs and how industry introduces and incorporates improved approaches in drug development. The program includes an opening and closing keynote and a couple provocative and focused panel discussions demonstrating some of the approaches in improving ways to address complex formulation development and manufacturing methods of small molecule compounds. Matt will be participating as a panelist for one of the discussions. We are excited to explore in this venue how new approaches and advanced manufacturing methods can continue to enable and speed pharmaceutical development. Snapdragon Chemistry is proud and happy to celebrate the third anniversary of our founding. Over these three years we have been fortunate to work closely with more than twenty clients hailing from bulk chemical, agrichemical and pharmaceutical sectors. We are grateful to each one of our clients and especially thankful to the many who have endorsed our partnership by returning across these years with multiple projects. Our clients have brought us abundant opportunities to deliver flow chemistry processes that are more productive, more inherently safe, and more environmentally responsible. They have embraced new technologies ranging from scalable photochemistry to electrochemistry to ultra-fast reaction skids. We appreciate the support they have provided and the vision they have shown as we have grown our business. This growth has included adding additional scientists and engineers; expanding our laboratory, administrative and workshop spaces; and enhancing our capabilities and development options. Growth has also come in the form of our partnership with Johnson Matthey that now allows us to provide a full end-to-end offering for pharmaceutical flow chemistry from route conception to development to cGMP manufacture. It also includes our joining of CMAC to help lead the next developments in flow chemistry manufacture. Over these three years we have benefited greatly from the insightful and tireless guidance of our scientific advisory board. These science and technology leaders have been our ardent and vocal proponents as they have challenged us to bring the best innovations forward. As we look forward to the future, we are excited by the accelerating interest and adoption of flow chemistry across the discovery, development, and manufacturing life cycle. We look forward to continuing to work with our current clients, adding new clients, and being at the forefront of innovation in this exciting field! Snapdragon Chemistry Inc., a leader in flow chemistry process design and technology development, and Johnson Matthey (LSE: JMAT), a global leader in science that enables cleaner air, improved health and more efficient use of natural resources, are pleased to announce that they have entered in to a collaborative agreement to provide integrated continuous manufacturing services – from development to full-scale GMP manufacturing. Continuous flow chemistry can transform pharmaceutical manufacturing processes by reducing the number of synthetic steps while increasing yield, enhancing purity and providing more effective quality controls, resulting in reduced capital expenditure and increased speed to market. Yet the pharmaceutical and biotech industries have yet to fully adopt this transformational technology. The collaboration between Johnson Matthey (JM) and Snapdragon Chemistry will address this by creating a complete and powerful end-to-end offering that can provide the full scope of process development and manufacturing services, from flow chemistry route conception to cGMP bulk production. The agreement combines Snapdragon Chemistry’s cutting-edge flow chemistry design, development and characterisation capabilities with JM’s offering in clinical to commercial API development and manufacturing, which includes considerable quality systems infrastructure, together with JM’s expertise in continuous manufacturing processes. The two companies have co-located facilities in the Boston area, allowing joint Snapdragon Chemistry and JM teams to interact closely to both develop flow chemistry processes and scale those processes through to manufacturing. This will allow clients to take full advantage of continuous manufacturing technology throughout the drug development life cycle. Snapdragon Chemistry is a privately held company based in Cambridge, MA. Snapdragon was founded in 2014 as a contract research organization with the mission to deliver advanced continuous manufacturing technology solutions for innovators in the pharmaceutical, fine chemical and materials industries. Snapdragon is investing in the development of new technologies to automate flow chemical process development to deliver clients dramatically reduced timelines, enable rapid scale-up of flow processes and ensure consistent product quality across the continuum from milligrams to kilograms. 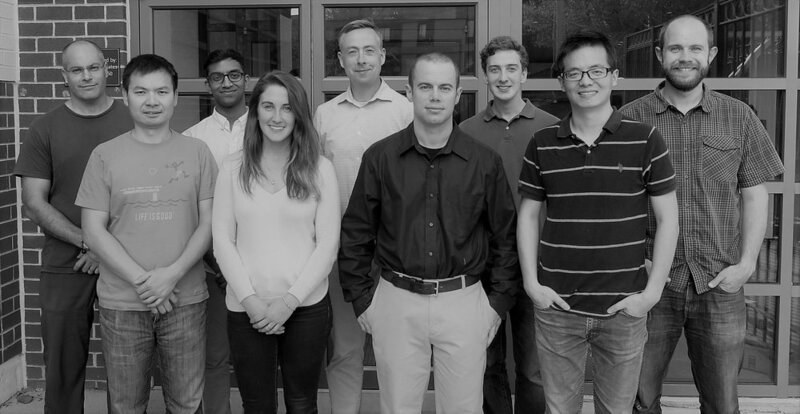 Snapdragon has received a $200,000 grant from the Massachusetts Life Sciences Center (MLSC) to support our research into the use of flow chemistry, online analysis, algorithms and IoT to automate the development chemical synthesis. MLSC is awarding $1.4 million to seven life sciences companies through the new Massachusetts Ramp-Up Program (MassRamp). MassRamp is a new program that will provide grant funding to promising early-stage life sciences companies. The awards are intended to help bridge the funding gaps associated with the long R&D cycle, and the high cost of translating research into commercially viable products. The MassRamp grant to Snapdragon will accelerate our efforts to digitize chemistry.